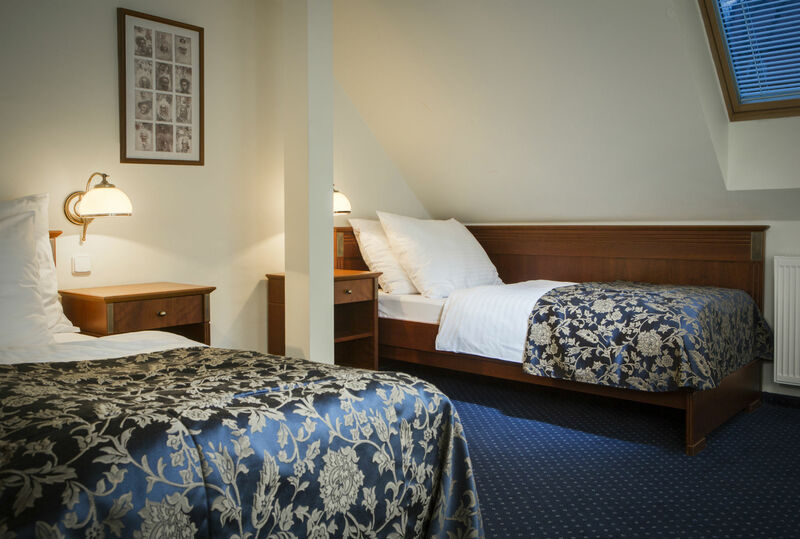 Orea Hotel Anglicky Dvur**** offers accommodation in 12 spacious Junior or Superior rooms. 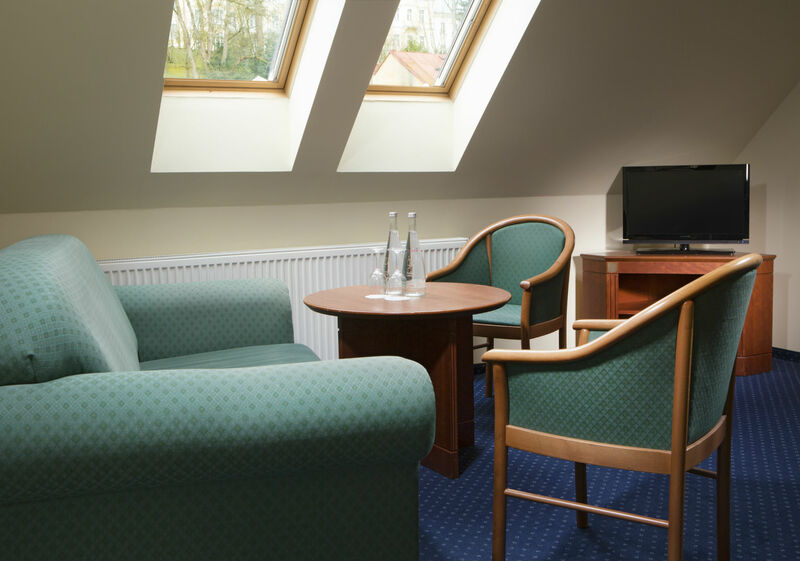 All rooms are equipped with satellite TV, safe and minibar. The bathroom comes with a bathtub, toilet and hairdryer. Guests also have access to unlimited use of bathrobes for the duration of their stay. 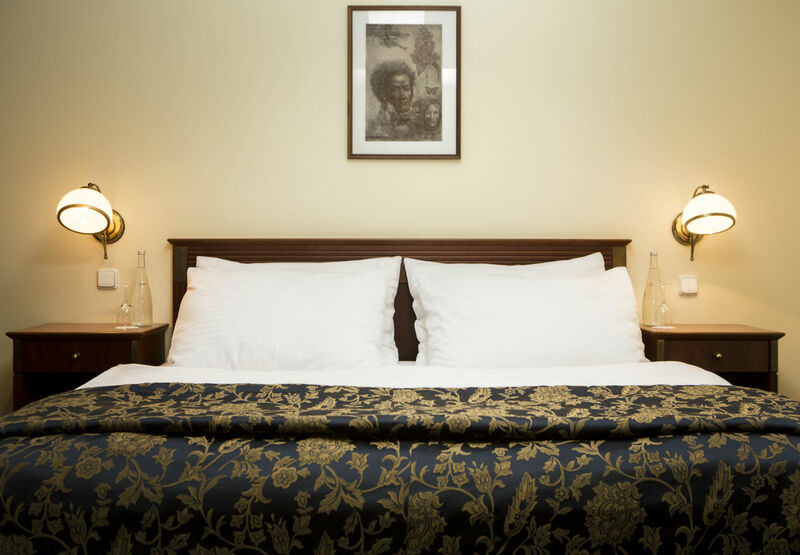 The total living space of our superior rooms is 28 – 32 m2, and consists of a bedroom and kitchenette. The room has a bathroom with bathtub, toilet and hairdryer. Standard equipment includes satellite TV, telephone, safe and minibar. For the duration of your stay, bathrobes will be provided in your room at no charge. 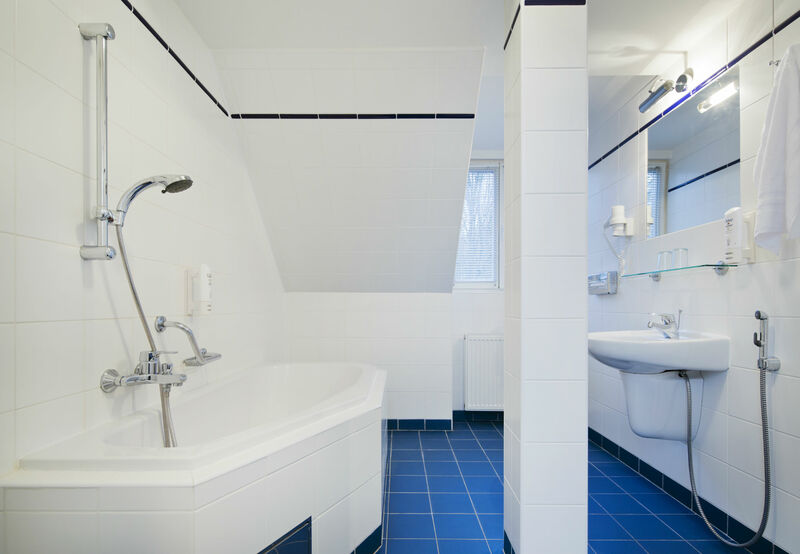 The 30 – 35 m2 rooms offer beautiful views of the centre of Marianbad and consists of a bedroom, livingroom and kitchenette. The room has a bathroom with bathtub, toilet and hairdryer. Standard equipment includes satellite TV, telephone, safe and minibar. A coffee and tea set, mineral water, bathrobe and slippers are provided in your room. You can also take advantage of free entry to the sauna at the Orea Spa Hotel Bohemia**** every day from 9:00 – 21:00.